A big aim in your yoga & meditation practice is to become aware of your self limiting beliefs, old thought patterns that hold you back and step by step liberate yourself from these disempowering habitual ways of thinking. This is not done overnight, the mind is very stubborn, but the good news is, so are you! With a consistent spiritual practice you can overcome your self doubt and your insecurity by becoming more and more aware of your expanded self that doesn’t need or want anything. A pure state of being that we can all experience within ourselves the moment we tune into it. When we allow ourselves to rest there more and more a lot of hardship and struggling can drop away and you can even get to see, feel and experience first hand that instead of needing to struggle and strive or running after everything you need to have or do in order to be happy, you can just sit and let it come to you. Not because you are lazy, no, because you are getting yourself out of the way, simply allowing to receive what the Divine has ‘in store’ for you. The following meditation is short but sweet and can really help you to open yourself to experience the flow of the infinite creative force (har) moving through you. You learn to focus and concentrate instead of being scattered all over the place, which makes it really hard to be a conscious co-creator with the Universe. Practice with the written instructions underneath or with the free meditation video on our IGTV. Start by tuning in: Chant the Adi Mantra ‘Ong Namo Guru Dev Namo’ three times with the hands in Prayer Pose. Sin Easy Pose and pull your chin in lighty towards your neck, without bending your head down (jalandhar bandh). Keep your elbows by your side with the forearms at a 45° angle. Bring your fingers at the level of the throat and make sure to keep them there throughout the whole exercise. In this meditation we work with a mudra in motion. Alternately strike the sides of your hands together, turning your palms up and down. When the palms are down the sides of your Jupiter fingers touch (index fingers), cross your thumbs below your hands, right thumb crossing under the left. 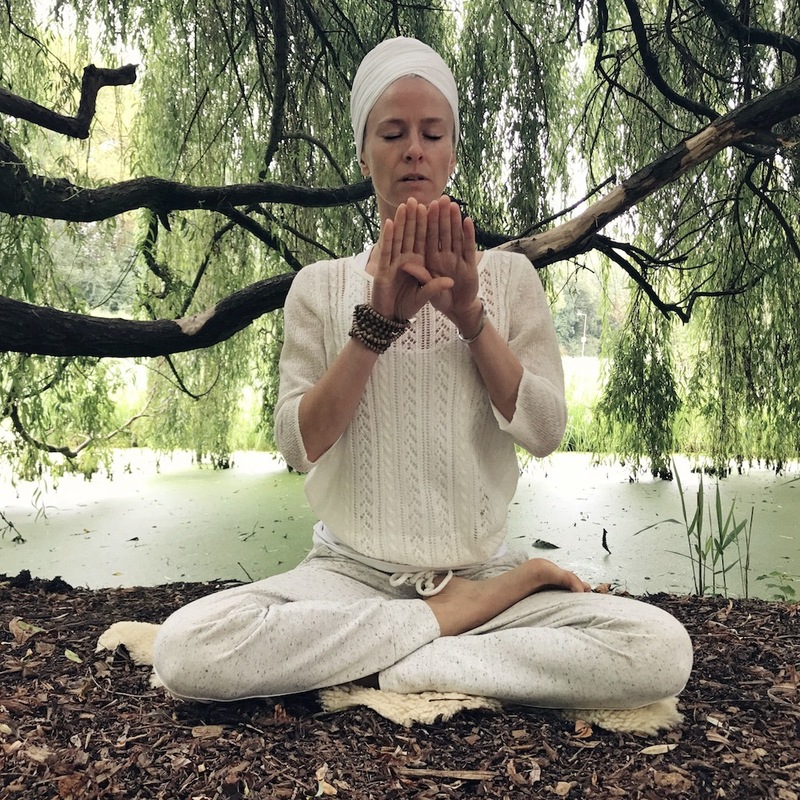 The crossing of your thumbs in this way is an essential part of the meditation, Yogi Bhajan said it is the key for it to work. When you turn your palms upwards you hit the sides of your Mercury Fingers (pinky) and the so called Moon Mounds (base of the palms). Each time the sides of the hands hit eachother chant the mantra Har, which means the Creative Energy of the Divine. Keep your chant steady and continious and timed to the movement of your hands. Chant from the navel and use the tip of your tongue behind your teeth. It is recommended to chant along with the Tantric Har for the right pitch and rythm. You can find it in Spotify. Continue for 3-11 minutes. 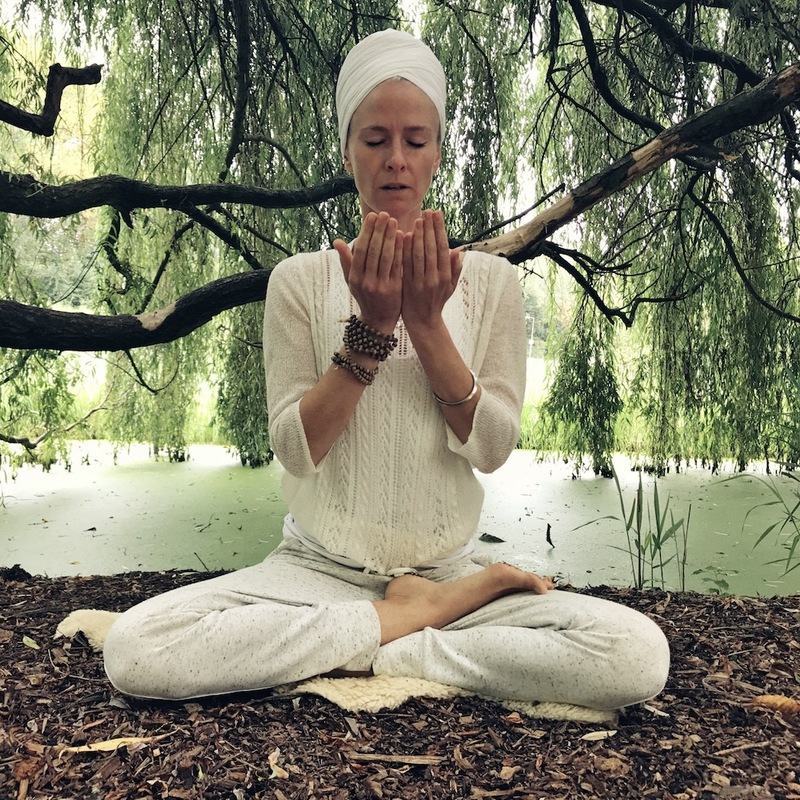 Yogi Bhajan said that if you do this meditation during your working day you shouldn’t do it longer than 3 minutes, it would make you too rich! Sit in silence for a few moments, sensing the energy in your body and around you. End by bringing the hands together in Prayer Pose and chant the mantra ‘Sat Nam’ three times. A long extended Saaaaaaaaaaat and a short Nam. Explorer deeper into this theme and join the 11 days ‘Abundance & Prosperity Sadhana’. 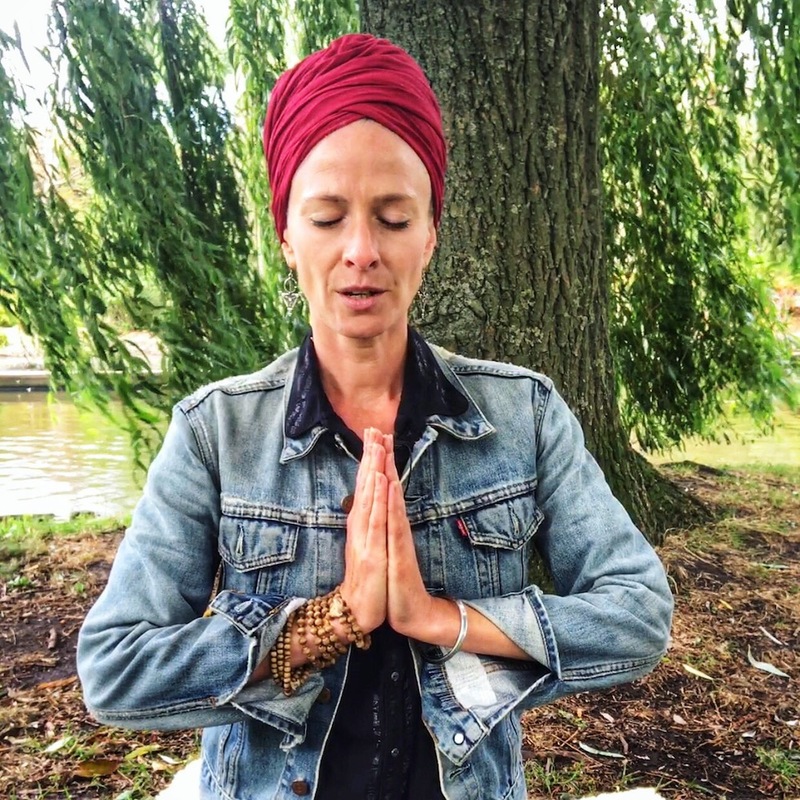 11 days of empowerment with Kundalini Yoga and daily guidance emails. Open yourself from within for Abundance & Prosperity by becoming aware of what is blocking you to experience abundance in your life. For 11 days you will receive inspiring and uplifting guidance while you practice the beautiful Kriya ‘Open up for Opportunities’ to help you attract what serves your higher good and the highest good of all. We offer you the chance to discover, reflect, understand and grow your awareness with daily guidance and Kundalini Yoga.